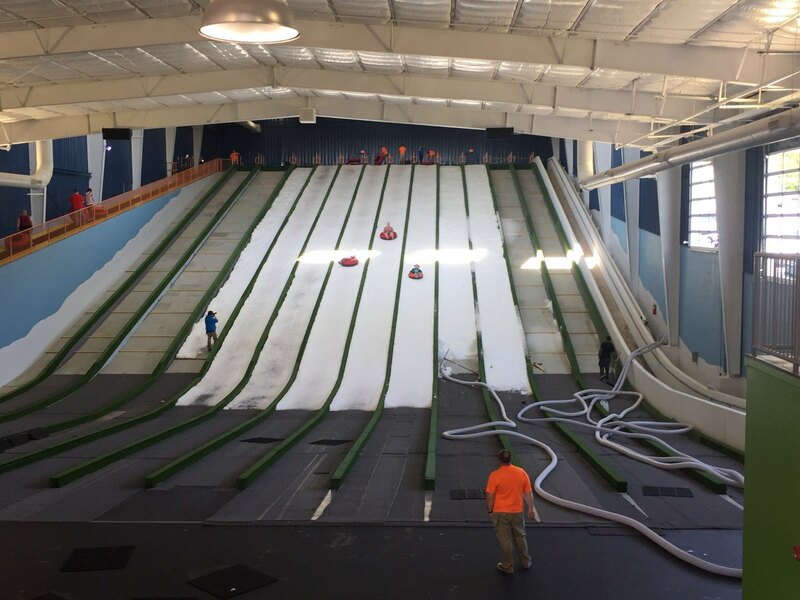 Did you know Pigeon Forge is home to the only indoor snow tubing facility in the entire United States? 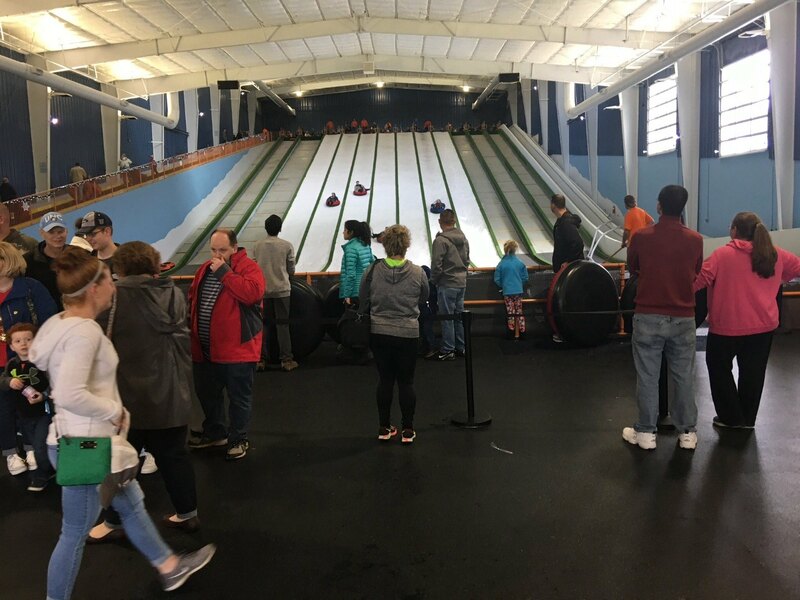 Come experience the thrill of winter indoors at Pigeon Forge Snow! 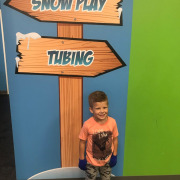 Made with 100% real snow, Pigeon Forge Snow’s tubing lanes provide maximum fun without the chill of the winter season. Since it’s 60-70℉ inside, you won’t need your winter jacket or gloves, either! Pigeon Forge Snow uses 100% real snow. Participants must be at least 38 inches and 3 years old. 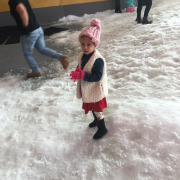 The SnowPlay area is available for all ages. The facility is 60-70℉ inside. Only one participant is allowed on a snow tube at a time. 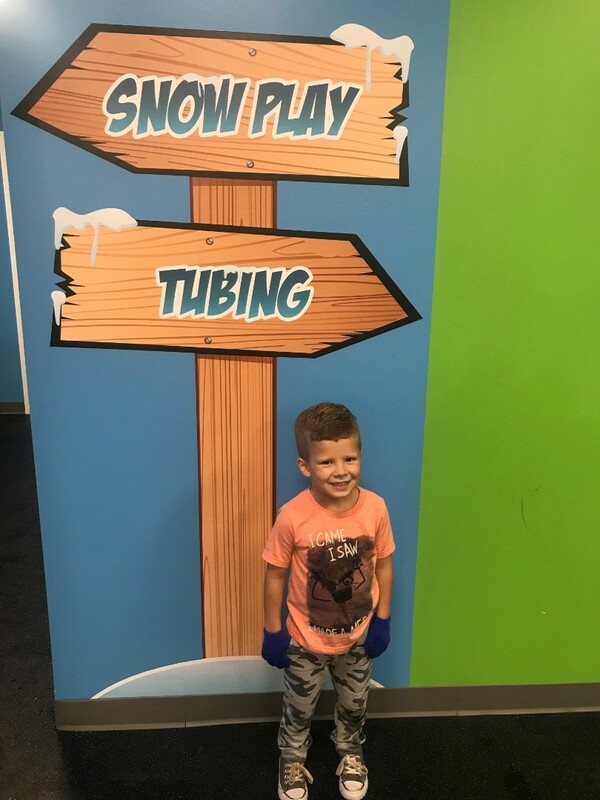 Snow tubing fun all year long! 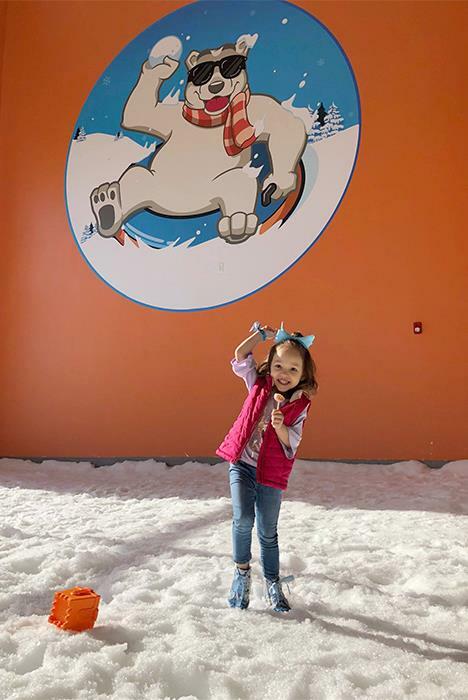 Pigeon Forge Snow is the first indoor snow facility in the entire United States that offers REAL snow all year long. 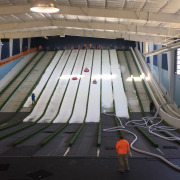 It uses state of the art snowmaking technology to transform its 35,000 square ft. indoor facility into a winter wonderland, complete with up to 12 lanes of snow tubing regardless of the time of year. Instead of using synthetic material, the attraction’s slopes are covered in genuine fresh powder. In addition to tubing, Pigeon Forge Snow offers other classic winter activities. 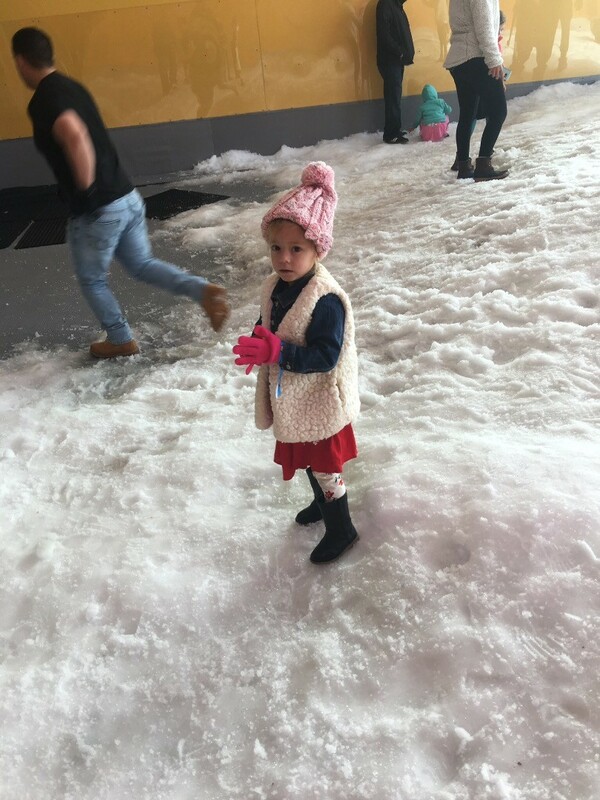 There is a snowplay area where guests can build snowmen and make snow angels. The attraction also features a second level where parents can watch their children go tubing while enjoying a snack or a beverage. 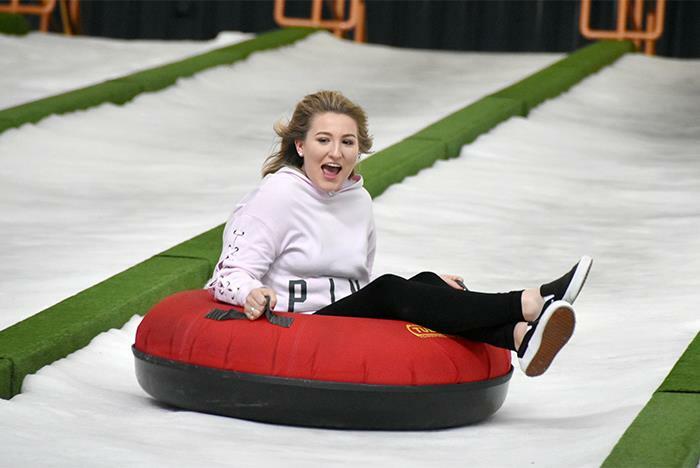 Although the attraction boasts all of the hallmarks of winter, guests won’t have to bundle up too much when they go snow tubing in Pigeon Forge. 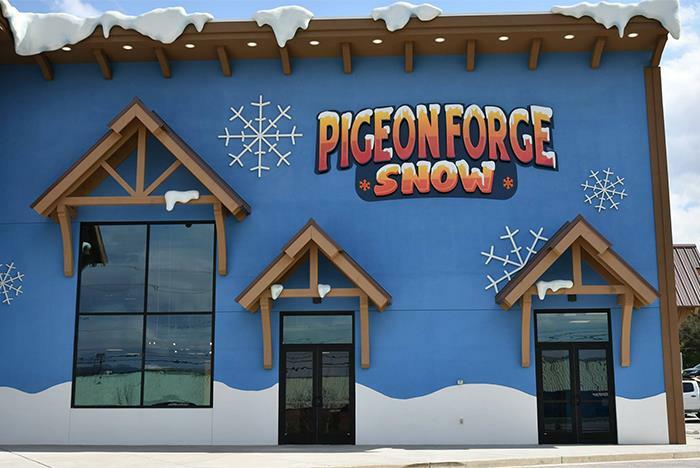 Pigeon Forge Snow has a comfortable temperature of around 60 – 70 °F all year long. Come enjoy the snow without being cold at Pigeon Forge Snow. 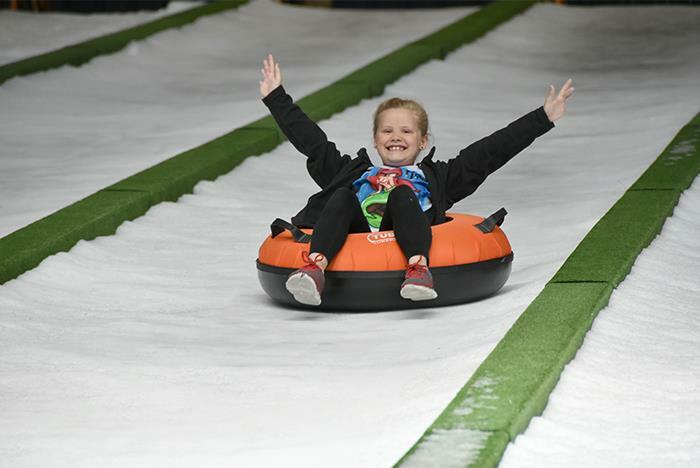 Is real snow used for snow tubing? Yes! Chemicals are not used to make the snow or added to the snow. Pigeon Forge Snow uses a snow machine to create the snow. To snow tube, guests must be at least 3 years old and able to sit in the tube by themselves comfortably. What are the height and weight requirements? Participants must be at least 38 inches tall and not exceed 375 pounds. The building is set to 60-70℉ inside. A long sleeve shirt or light jacket/windbreaker is ideal, but typical outdoor attire is fine. Guests may wear any type of shoes except flip-flops. Pigeon Forge Snow is open from 10:00 am – 11:00 pm daily. Is there more to do than snow tubing? Yes. There is also an all-ages SnowPlay area. 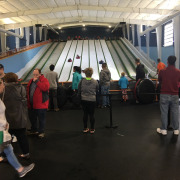 On the second level of the facility, guests may watch friends and family snow tube or enjoy a bite to eat at the snack bar. What are the rules for snow tubing?